Outdoor signs and other displays require specific finishing solutions that can withstand sunlight, moisture, and other environmental factors. Graphics displayed outdoors should be protected with a solvent acrylic pressure sensitive laminating film due to the water/humidity-resistant properties these products offer. Vinyl/laminating films with UV inhibitors are recommended for medium to long term outdoor applications, as they typically double the normal ink life on the graphic and will not degrade as quickly as other base films.Polycarbonate products and D&K’s UV Pressure Sensitive Hardcoat Gloss films offer the ultimate level of protection for long term outdoor signage applications. Mounted graphics (rigid displays) should utilize a solvent acrylic mounting adhesive that withstands water, humidity, and other moisture.High Performance Transfer Adhesives can also be used to construct outdoor displays without drilling or screwing into the materials, which can create weak spots or promote rust on metals. -5, 10, & 15 mil Expression PSA Polycarbonate Matte – 5+ year outdoor durability. -1 & 3 mil Expression PSA UV Hardcoat Gloss – HCG – 5+ year outdoor durability. 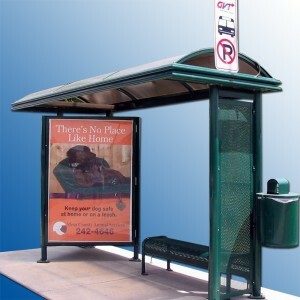 -3 mil Expression PSA Vinyl Luster – LUB – 3+ year outdoor durability. -3 mil Expression PSA Vinyl Matte – SUB – 3+ year outdoor durability. -3 mil Brilliance PSA Vinyl Gloss – EVG – 2+ year outdoor durability. -3 mil Brilliance PSA Vinyl Luster – EVL – 2+ year outdoor durability. -3 mil Brilliance PSA Vinyl Matte – EVM – 2+ year outdoor durability. *Durability does not relate to colors in the print, but to the laminating film only. Color fading is mainly dependent on the quality and types of inks used. This information is presented for reference of general product characteristics and does not constitute a representation or warranty.